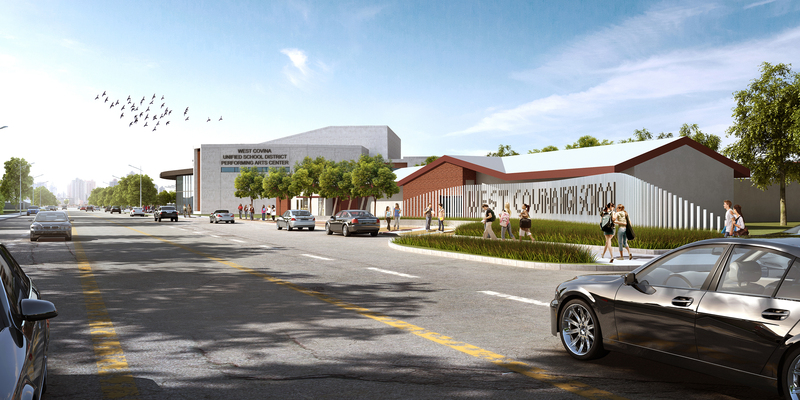 This project brought to fruition one of the desired goals of SVA Architects: to emphasize performing arts venues as community centerpieces. 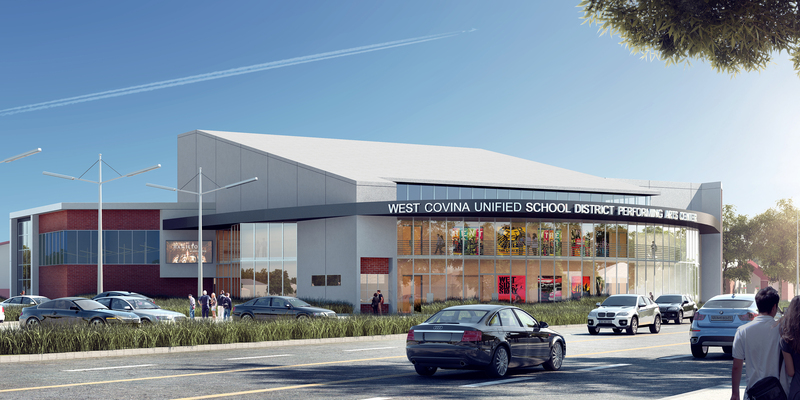 The 650-seat Performing Arts Center at West Covina High School features a full fly loft and orchestra pit that provides a state-of-the-art facility for their drama, dance and music/chorale programs. 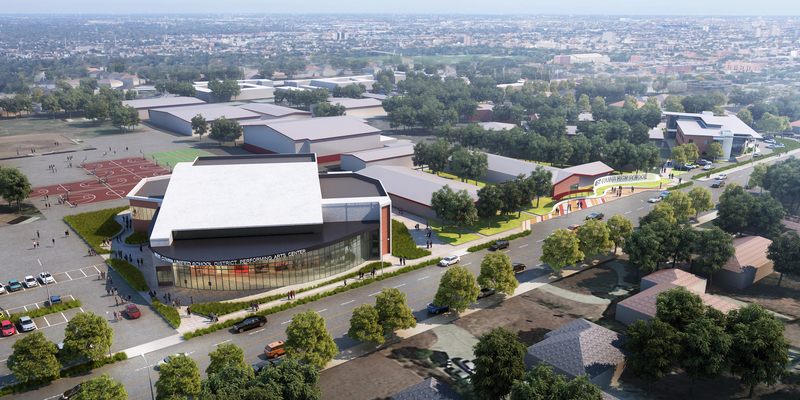 A full scene shop, dressing rooms, and prop/costume storage supports the main theater as well as the black box theater. 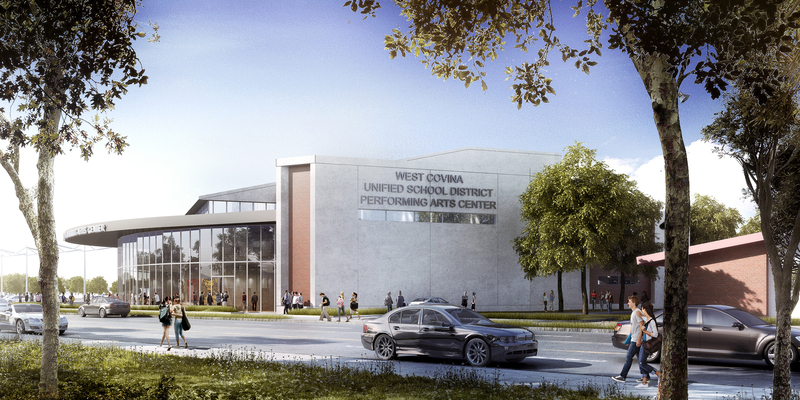 Additional related instructional spaces include an acoustically treated music/choral room, television broadcast studio, and video editing lab. 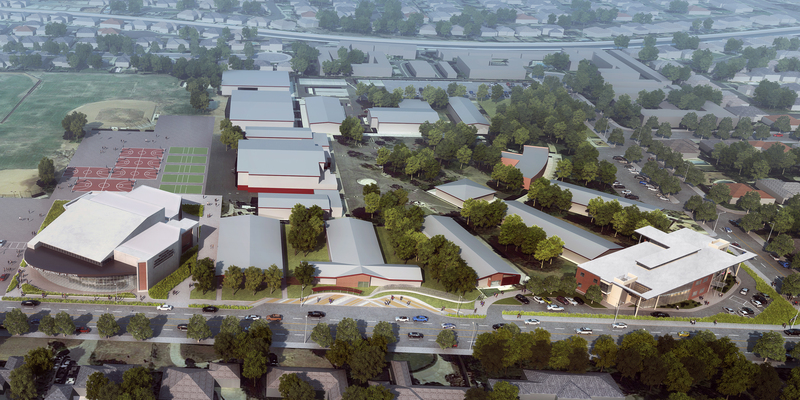 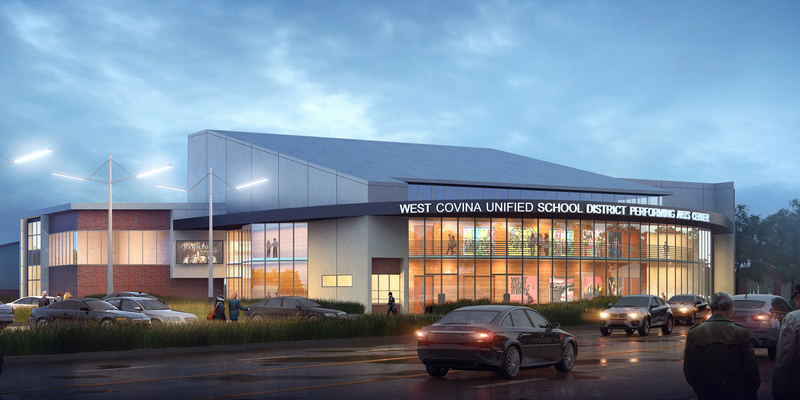 This new venue will prove vital to the educational lives of the West Covina students and to the community as a whole.